According to the news report published in Sydney Morning Herald, NSW Supreme Court jury found a young couple guilty of plotting a terrorist attack, who aspired to be a jihadi Bonnie and Clyde. The court found them guilty of the plot said to involve detonating an improvised device, an incendiary device or using a bladed weapon. 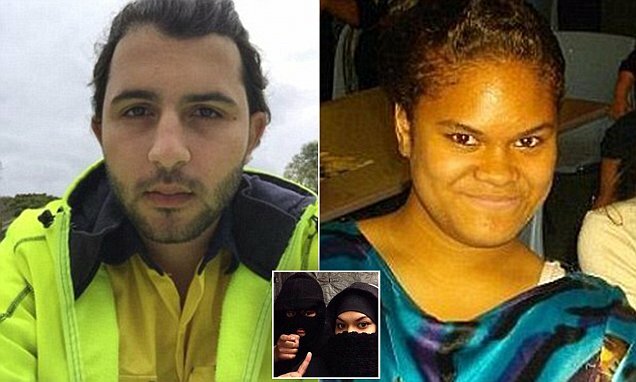 Namoa, who married Bayda in an Islamic wedding ceremony in 2015 when they were 18, had referred to the couple as a jihadi Bonnie and Clyde. Their phones contained a vast amount of extremist material, including graphic images and videos of beheadings and soldiers carrying Islamic flags, and communications to each other. Prosecutor Nicholas Robinson QC contended the material reflected their religious ideology of advancing Islam by violence. He alleged the couple had decided to do what they could to prepare for a terrorist attack on New Year’s Eve, the day after their marriage. Police found the sheathed knife on top of the flag in Namoa’s handbag when she was staying at a friend’s place. CCTV footage from a disposal shop showed Bayda later buying another knife, which police never found. The prosecutor said each believed they had a “religious obligation to attack non-believers”. Currently, extremism and terrorism are a real threat to national security throughout the world. Extremism is an exceptionally great danger that can shake any, even the most stable and prosperous, society. It can be a serious crime when an organized group of people strives to achieve their goal through violence. Terrorists take hostages, organize explosions in crowded places, use weapons. In the overwhelming majority of cases, innocent people, including children, are victims of terrorism. One of the key areas in the fight against extremist and terrorist manifestations in the public environment is their prevention. It is especially important to carry out such preventive work among young people, since it is the younger generation that, due to a number of different factors, is most vulnerable in terms of susceptibility to the negative influence of various antisocial and criminal groups. Social and material insecurity of young people, frequent maximalism in assessments and judgments, psychological immaturity, significant dependence on the opinions of others are just some of the reasons for talking about the possibility of easily spreading radical ideas among young people. Leaders of extremist groups of various kinds attract young people to their associations, often promising them easy solutions to all problems, including material ones. The fragile young minds often do not even think that by participating in the activities of such formations, they not only do not solve their existing problems but also create numerous new ones for themselves, in fact, destroy their future. Of course, it is much more profitable to carry out prevention of extremism and terrorism among young people than to eliminate the consequences of such phenomena. The destructive potential of terrorist organizations is constantly growing, as terrorists show masterful ability to use modern technologies to achieve their goals. According to European police, today’s criminals have gotten better than ever at using technology to hurt people — and escape justice by hiding in the shadows. Is there any technology that could be used against the terrorists and could prevent the achievement of their goals? – Yes, iCognative by Brainwave Science has answered this call. It is a ground-breaking technological innovation that uses memory related recognition brain patterns to equip law enforcement agents. counterterrorism agencies with a powerful intelligence collection solution. This advanced investigative facility offers rapid and accurate identification of people who are connected to any terrorist act, using specific brainwave response. iCognative technology can identify members of terrorist cells, detect plans for future terrorist acts or identify the role of an individual inside a terrorist organization. Moreover, the technology also allows evaluating potential assets, detecting hostile intelligence agents with connections to foreign intelligence agencies. iCognative is designed to serve law enforcement while preserving and protecting human rights, by identifying threats and stopping them before it happens. iCognative can detect information, using an advanced semantic memory-related brain response, called P300. When contact with or membership in a particularly hostile intelligence agency is suspected, a iCognative test monitors brainwaves while it flashes investigation case facts (Stimuli) such as: identities, names, photographs, methods of communication, meeting places, code words, dead drops, names of handlers and contacts etc., along with details not released in public domain to detect the presence or absence of that information. In case with the Jihadi Bonnie & Clyde using this technology, authorities can determine threats and gain information that is essential in order to fight back in current situation.